If you have been injured in a pedestrian accident and you believe it was due to someone else’s negligence, you should seek legal assistance. At the Simpson Law Group Attorneys will answer all of your questions. We want to take you on a trip a few hours north of San Diego today to bring you the story of a hero. The other day, a Simi Valley school crossing guard was severely injured after he pushed a pedestrian out of the way of an oncoming vehicle. The guard himself was then struck and sustained life-threatening injuries. “When he was in the street with his stop sign up, he did push a pedestrian out of the way so that they were not struck by the oncoming vehicle,” said Simi Valley police Sgt. Steve Shorts. Officials said that the intersection where this happened is controlled by stoplights, but it was not clear yet if the driver of the vehicle ran a red light. We know one thing is certain – the crossing guard is a hero. We also know that pedestrians across the state face similar dangers. If you need a San Diego pedestrian accident attorney, the Simpson Law Group will answer all of your questions. The California Office of Traffic Safety has made pedestrian safety a priority. In fact, for their latest reporting year, the from of their report features a driver covered in vehicle-like armor and a sign that says, “Pedestrians don’t have armor.” It is a stark reminder to drivers to be vigilant and aware of pedestrians in and around the roadway. There is simply no way for a pedestrian to compete with the force of a vehicle that weighs thousands of pounds slamming into them. 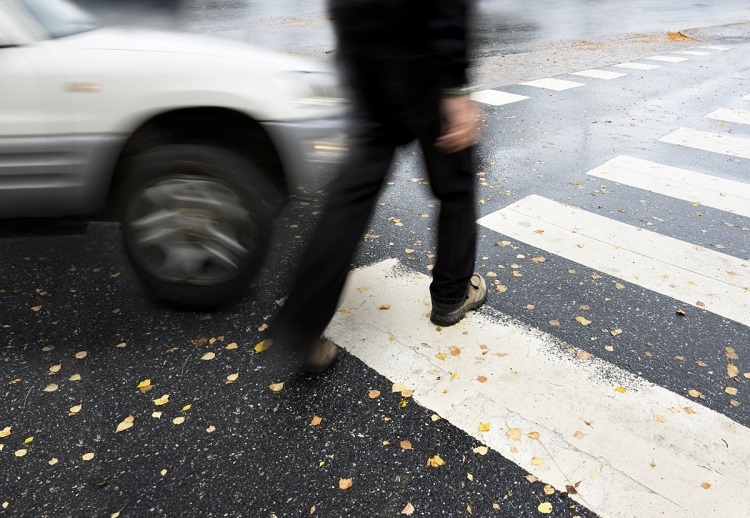 In the latest reporting year, there were more than 14,000 pedestrian accident injuries. Those numbers are too high. Consider this – a pedestrian accident usually involves two impacts – one with the vehicle and one with the ground. Both of those impact will cause bodily damage. For most of the injuries listed above, surgery is required to fix the damage. Often, there is a period of rehabilitation to achieve full recovery. Sometimes, there is a permanent disability. All too often the accidents are caused by drivers who are not paying attention. Sometimes they are distracted by their phones. Other times, they are impaired by alcohol. There are also times when they are simply in a hurry and are not aware of their surroundings. If you have been injured in a pedestrian accident and you believe it was due to someone else’s negligence, you should seek legal assistance. We know how quickly medical bills can pile up, but you need to focus on healing, not fighting for compensation. The Simpson Law Group will fight for you. When you need a San Diego pedestrian accident attorney, we will work to ensure you get the compensation you deserve. For a free consultation of your case, you can contact us by clicking here or calling 619-236-9696.